This is a basic pizza made with a homemade dough and several topping suggestions. 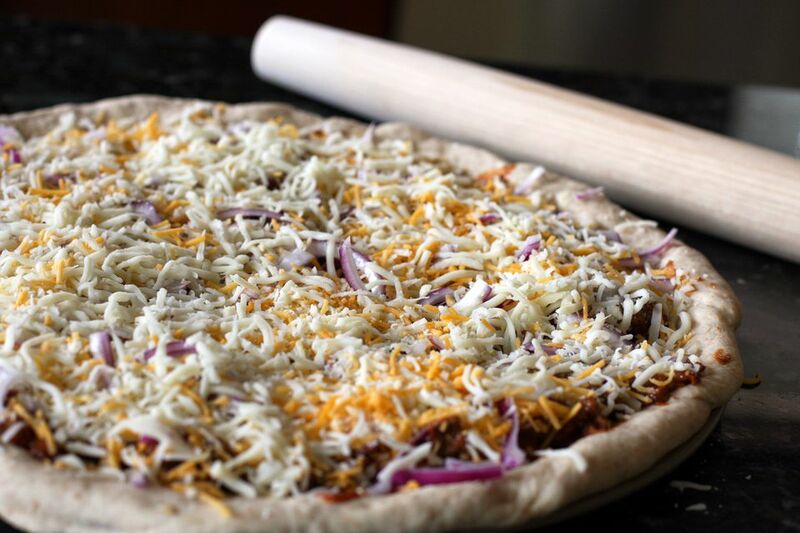 Be creative with toppings for this pizza - use your favorite vegetable and meat toppings, or mix up the cheese. A combination of Provolone and Mozzarella or Cheddar and Mozzarella are excellent choices. Add yeast to the water and stir until dissolved. Add sugar, oil, flour, and salt. Set mixing bowl filled with dough in warm water for 5 minutes to rise. Pat dough out on a well-greased pizza pan or cookie sheet. Layer toppings on dough in the order listed. Bake in the preheated oven for about 20 minutes, or until the crust is browned.